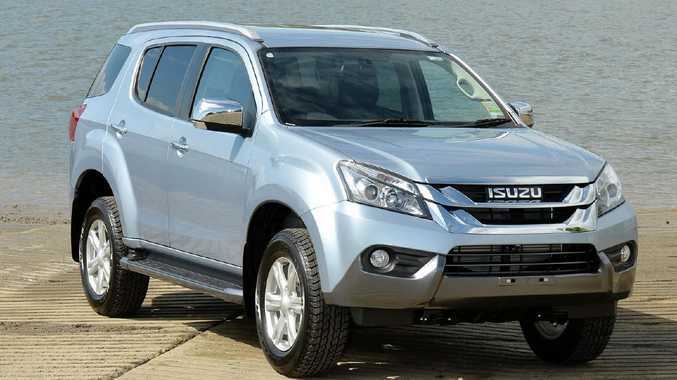 Isuzu's MU-X SUV has been a seven-seat sales superstar since its introduction in November 2013. 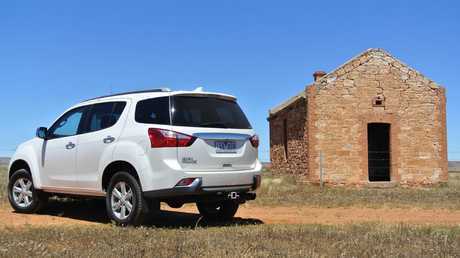 It's up against heavy-hitting ute-based rivals such as the Toyota Fortuner, Mitsubishi Pajero Sport and Ford Everest but the Isuzu trumps them all in sales. How's it shaping up as a used buy? Generally very well, as reliability has proved solid, and all but the very earliest models will still have some balance of its five-year warranty remaining (if it's travelled less than 130,000km). 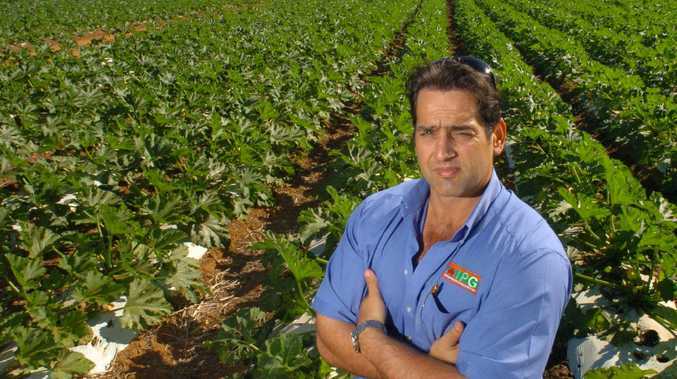 Strengths are value, capability, reliability and the fact owners seem to love them. They can be spotted in urban streets, school car parks, caravan parks and off-road trails. All have seven seats, can tow 3000kg, use a near-bulletproof 3.0-litre four-cylinder turbo diesel and are relatively cheap to own and run. Owners are first to admit MU-Xs aren't the last word in luxury or refinement but the ladder-frame chassis SUV has a comfy enough ride with rear coil springs (rather than more agricultural leaf springs) and the kind of no-nonsense interior to appeal to those not fussed with the latest technology. 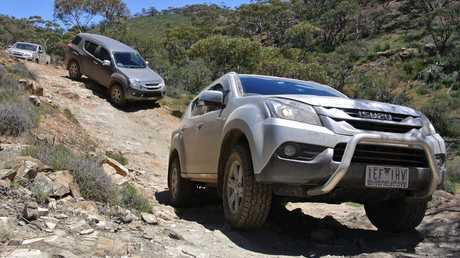 The 4WD versions are talented tools off-road but on-road aren't terribly dynamic. There's a fair bit of body roll in corners but this won't be of concern for highway trips or the school run. It has a five-star crash rating, but this is based on a 2013 test. Lacking modern active safety gear, it wouldn't score this well today. Many will have lived a pretty tough life though, be it as an off-road toy or hauling heavy caravans or boats across the country. That said, many MU-Xs have lived pampered urban existences, especially two-wheel drive variants. The engines are great for lazy cruising but are noisy when you put your foot down. Originally outputs were 130kW and 380Nm, the latter rising to 430Nm with a May 2017 facelift. Transmissions were five-speed manual or auto, switching to six ratios for each in 2017. Grades were LS-M, LS-U and LS-T, in rear or all-wheel drive, with the LS-T coming as auto-only. 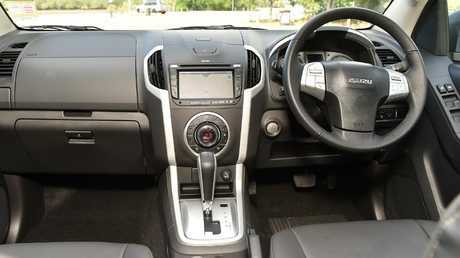 All examples got alloy wheels, all-terrain tyres, seven seats, basic audio but with iPod and Bluetooth connectivity, rear parking sensors, cruise control, keyless entry - and an incredible 14 cup holders. A dash more stylish, the LS-Us had 17-inch alloys, fog lights, chrome grille and mirrors, aluminium side steps, climate control and rear air vents. The LS-T added leather seats (power for driver), touchscreen navigation, rear camera and roof-mounted DVD for rear passengers. The 4WD versions came with an easy-to-use "Terrain Command" dial to switch between 2H, 4H and 4L. Automatics scored hill ascent and descent control. To protect the sump and transfer case, underbody steel plates were fitted but no diff-lock or limited-slip differential was offered. The May 2017 facelift brought better sound insulation and smarter cabins with soft armrests rather than the previous elbow-grating hard plastic, plus touchscreen audio and reverse cameras for all, LED headlights, new grille and new alloy wheel designs. Favour MU-Xs with a full Isuzu service history under five years old and less than 130,000km on the clock to ensure the warranty is intact. Common sense dictates preloved versions used as town-based family haulers have led an easier life. If so, ensure kids haven't used the interior as a playground or food dump. If you don't plan to go off-road, the rear-drivers are cheaper choices and can still tow 3000kg. If you're seeking a 4WD, be aware many will have been used for towing long distances, or taken on serious off-road trails. Check for underbody bashes, rust spots, fine scratches to the body paint, or sand and mud stains inside. The MU-X can handle a tough life but such use will have placed more stress on components. If you're planning to use the third row of seats, check they're fit for purpose. They don't have tethers for child seats and are best used for children rather than adults due to their size. The most important thing to check is under the bonnet at the inner wheel guards. There have been instances of cracking here, especially if aftermarket bullbars have been fitted. Isuzu has rectified the issue under warranty and we've heard of cases of the brand doing so, even with aftermarket accessories blamed for the fractures. If you see evidence of cracking, walk away and suggest the owner returns the MU-X to the dealer for a fix. Some infotainment head units with satnav have been problematic so check functionality. Early MU-Xs were recalled in August and October 2014 for seat belt issues. A few were recalled in December 2016 for fuel tank bolts. Solid, reliable and fuss-free, the MU-X is a great tool for families, off-roaders and towing types. Get as late a model as you can for longer remaining warranty, buy 4WD only if you need it and favour the range-topping LS-T for its better equipped, more luxurious cabin. DENNIS PYE: I've had my LS-U 4x2 since 2016 and towed my van 18,000km with it. It's proved very comfortable and the only visits to the garage have been for regular services. It returns 7.8L/100km on the highway and 13.5L towing. It may not have all the bells and whistles but was at least $20,000 cheaper than a Toyota Prado. To maintain 90km/h when towing, I have to finesse a big gap between fourth and fifth gears. JOHN DICKSON: I bought my LS-T two years ago with 38,000km in top condition. It has done a further 20,000km. It's excellent for towing. Fuel use in town is 9.5L/100km, and 12-13L towing a small caravan. The 65L tank could be larger. and it should have radar cruise control and front parking sensors. Presumed to be Isuzu's rebadged version of the Holden Colorado 7, the MU-X shared no body panels other than the front doors and bonnet. Two updates of the MU-X arrived during the first half of 2017. 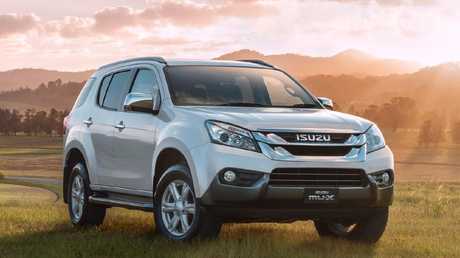 To the end of 2016, Isuzu Ute dealers had sold more than 18,000 examples of the MU-X, of which nearly 75 per cent were 4WDs and 94 per cent were automatics. The high-grade LS-T accounted for nearly two-thirds of sales and mid-spec LS-U about one in five. For 2013, the base LS-M 4x2 auto ($40,500 new) is valued at $25,750 and the flagship MU-X LS-T 4WD auto ($53,500 new) is $34,050. For 2017, the LS-M ($41,800 new) is worth $34,400 and the LS-T ($54,800 new) is $45,150.